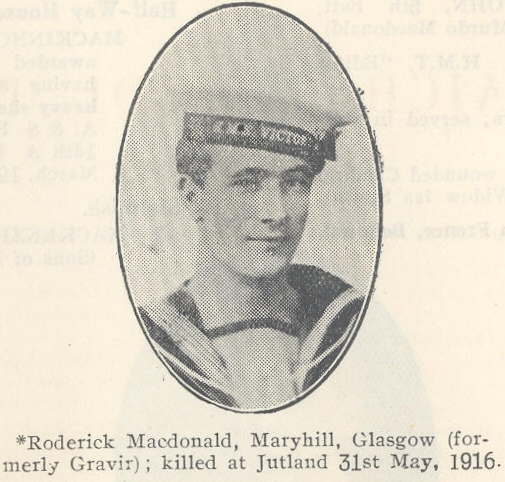 Roderick was one of the children of Malcolm (1856) and Christina (1858), the others being Ann (1887), John (1890) and Donald (1892). His brother John served in the RNR, and Kenneth was a sergeant in the Highland Light Infantry. Donald was lost serving with the Canadians.